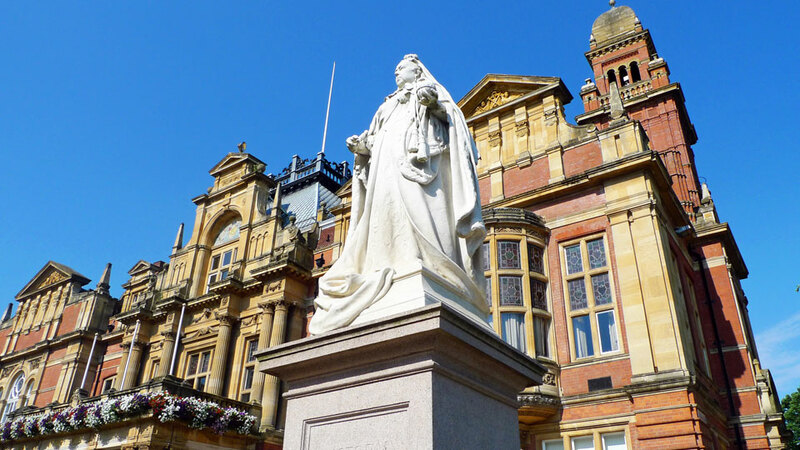 The area now known as Royal Leamington Spa includes a number of villages listed in the Domesday Book of 1086. Leamington Priors to the south of the River Leam had about 12 households, Newbold Comyn to the north had 25 and Lillington to the north-east had 16 households at that time. Changes in the next 700 years were not monumental. By 1801 the parish of Leamington Priors included Newbold Comyn but nearly all the villagers lived to the south of the river. There were still only about 310 people living in about 67 houses. The land of Newbold Comyn was enclosed in the 16th century and was largely an estate in the ownership of the Willes family. The land to the south of the river was not enclosed until 1767 and traditional open-field, or strip, farming continued until that date. Examples may still be found. For centuries there had been knowledge of saline springs in the area near the existing parish church and in 1586 Robert Camden identified a spring and declared this water to be of benefit to health. 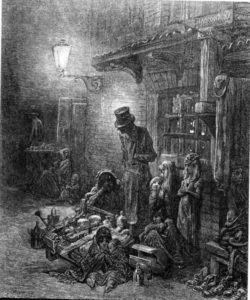 A phenomenal expansion was set in motion in 1784 by the discovery of a spring in Bath Lane (now Bath Street) on land owned by William Abbotts. He and Benjamin Satchwell decided to exploit the healing properties of this water and opened Abbotts’ Original Baths. These two gentlemen were the driving force behind the growth of the town. The first public well-house, known as Aylesford’s well, was built in 1803. During the next few years other springs were discovered and a total of at least seven baths existed at one time or another. An influx of people arrived to take the waters and, with a visit from members of the royal family delivering a seal of approval, the building bonanza begun earlier gathered further momentum.At first, most of the growth was in the Bath Street/High Street/Clemens Street area, but in a short time speculators started to plan a new town north of the river. 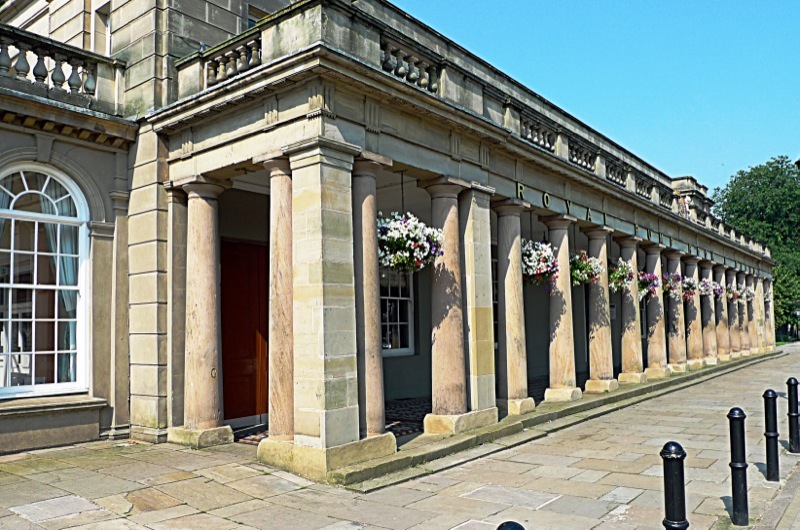 This included a new Pump Rooms and Assembly Rooms opened in 1814 and now known as the Royal Pump Rooms. Although the old town continued to expand, the new town to the north quickly became the more fashionable place to be. The first house built on the new Parade was at the north-west corner of the Parade-Regent Street crossroads in 1808. The block of 18 houses southwards from Regent Street was the first to be built. Houses were initially finished to look like the stone of Bath.By 1828 the population of Leamington Priors had risen to in excess of 5,000 and by the census of 1851 it was 15,724 and still rising. The town was honoured by the granting of the title “Royal” by the young Queen Victoria in 1838 who clearly recalled a visit in 1830. Her Majesty visited again in 1858. During the 19th century the small parish church was repeatedly extended and rebuilt to become the All Saints Church in Victoria Terrace, latterly under the forceful influence of Rev Craig. 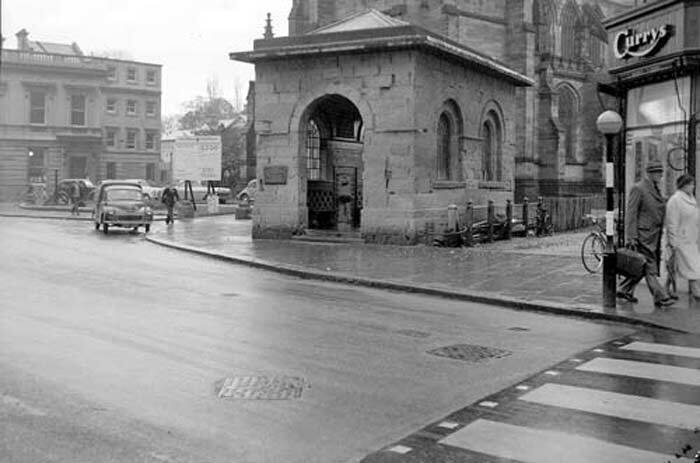 There is a long history of churches in the town including the now-demolished Pepperpot church, St Albans church and Christchurch.Growth was further compounded with the arrival of the canal running from Birmingham to London in 1800. This was followed by the railways. The first line was from Milverton to Coventry in 1844 which gave access to the LNWR to London. This line was extended to Avenue station and Rugby in 1851. The GWR line to Paddington opened in 1852. Another transport system was the tramway which ran from Warwick down the Parade to Spencer Street from 1881 to 1930.The railway brought more people to the town but the building of The Bridges where Bath Street meets High Street meant the demolition of several buildings including Wise’s Baths and Copps Hotel which had been considered the best hotel in town, as well bringing dirt and noise to nearby houses and shops. It is interesting to contrast the conditions in which wealthy visitors and residents lived with those of the working class who often lived remarkably close to the better homes. Satchwell Street, some 40 feet from the Parade, housed hundreds of people and numerous pigs and other animals in foul “courts”. These were not cleared until the end of the nineteenth century and slum clearance was still occurring in the 1950s. It is now the site of the Royal Priors Shopping Centre. John Wisden played cricket for three counties in the 1850s and 1860s. He retired from the sport quite early and he was running a shop selling cricket equipment in Leamington Spa in 1850. He began to publish a book of statistics about the game in 1864 and it is still published annually.Unfortunately, from the 1850s it became fashionable for the well-to-do to spend more of their time at the seaside and, along with other spa towns, clientele quite rapidly faded away from Leamington.Major Harry Gem, a solicitor, and his friend Augurio Perera, a Spanish merchant, combined elements of the game of rackets and the Spanish ball game Pelota. They moved from Birmingham to Leamington Spa and in 1874, with two doctors from the Warneford Hospital, they founded the world’s first tennis club, the Leamington Tennis Club. The man who established the pathologist as a key witness in murder trials was Bernard Spilsbury who was born in Bath Street in Leamington Spa in 1877. He gained his fame from many high-profile cases include that of H H Crippen in 1910. A monument to the glory days is the Town Hall in the Parade which took over the role from the building in High Street. It was completed in an architectural style which contrasted with much of the town in 1884. The monument to Queen Victoria outside was added a few years later. Many retail and wholesale businesses thrived on the money which tourism brought into the town ranging from milliners and outfitters to many food emporiums and even Bath chair businesses. In addition, several manufacturing companies set up business. Flavel developed his range of cookers from premises in Augusta Place in about 1810 before they moved to Ranelagh Street. His first line was called “The Kitchener”. Another major employer was the Zephyr Carburettor Co which began about a century later, in 1910, in Clemens Street. It grew to become known as Lockheed Brakes or Automotive Products. 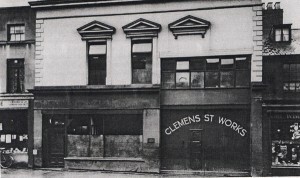 Many other small businesses in the town fed components to the growing motor vehicle industry in the vicinity of Coventry in the twentieth century. The First World War made its impact on the residents of the town as evidenced on the War Memorial. The Second World War also claimed the lives of many but was also notable as bombs rained on the town on several occasions. Houses in Lillington were destroyed and one sequence of bombs fell in Regent Street, near the Town Hall and moving the statue of Queen Victoria outside the Town Hall, Maypole’s shop in the Parade and a house in York Road. The town recovered from the war and became prosperous as businesses of many kinds moved in. Large housing estates were built in all points of the compass for social and market housing.A famous son of Leamington Spa was Frank Whittle who is credited with the invention of the turbojet engine which was patented in 1930 and first ran successfully in 1937. He was born in Coventry and at the age of nine his family moved to the town. His father ran a workshop in Clinton Street. Frank was educated at Leamington College for Boys, later called Binswood Hall. Randolph Turpin was born in Leamington Spa in Willes Road and became World Middleweight Boxing Champion by beating Sugar Ray Robinson in 1951. The first production version of the iconic Jaguar E-Type car ran off the line in Coventry 1961. It was designed by Malcolm Sayer who studied at Loughborough University and lived in Leamington Spa.The town centre thrived but the centre of gravity moved northwards leaving the south part of the town a little neglected. For example, Boots the Chemist moved from the Parade near Dormer Place to the corner with Warwick Street in 1974. Large shops moved into the Upper Parade which had remained quite genteel and in 2013 there is a proposal for another shopping centre to the north of Warwick Street. The older, more historic, part of town to the south of the river has never really recovered and but in recent times various regeneration programmes have attempted to breathe new life and vitality into South (or Old) Town as it is known. Many other notable people and institutions have added to the town over more than two centuries including many who promoted the Spa and the development of hospitals, schools, theatres and cinemas as well as the many shops and factories. We hope you enjoy exploring more about these as our pages develop.